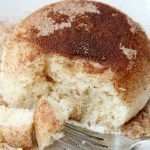 Cinnamon Sugar Doughnut Mug Cake – This delicious mug cake literally takes about 60 seconds to make in the microwave. 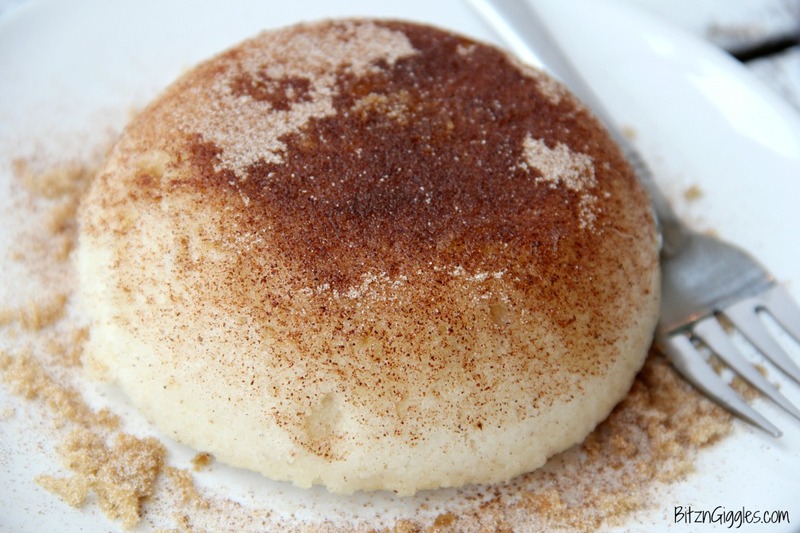 It tastes just like a cinnamon sugar doughnut! You know when you need just a little sweetness to get you through the day? When you don’t want to bake an entire cake because you really don’t want that temptation in the house? 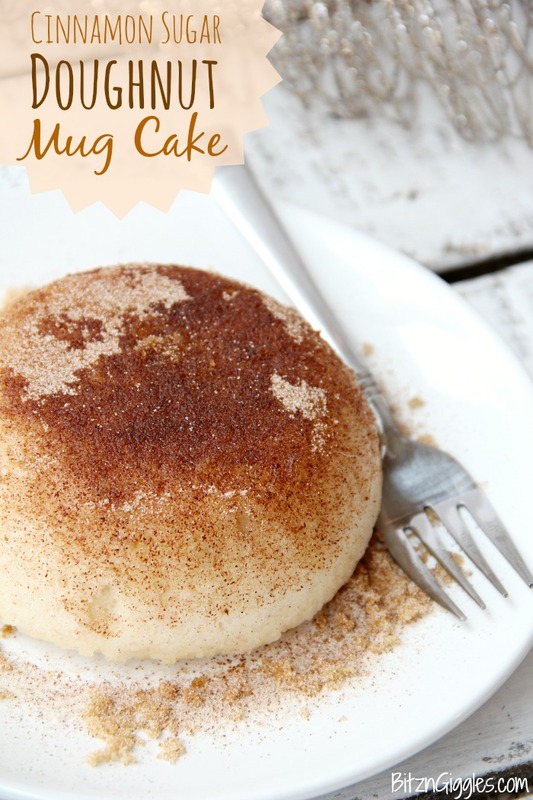 This Cinnamon Sugar Doughnut Mug Cake is sure to satisfy that sweet tooth! If you do decide to use a crock like I did, check the cake at about 60 seconds to see how it’s doing. In a crock it probably won’t need much more than that. I find that I leave the cake a bit longer when using a traditional mug. Now you could just leave it in the mug, but I like to run a butter knife around the edges of the crock and just flip it out onto a plate. And then I sprinkle on LOTS of cinnamon sugar. . .because it makes me happy. And I promise it’s going to make you happy, too. This isn’t spongy in texture like lots of other mug cakes out there. Nope, not this recipe. It’s fluffy, moist and sweet – just like a doughnut is supposed to be. So if you have a minute or so to spare in your day, spoil yourself. You’ll be glad you did. 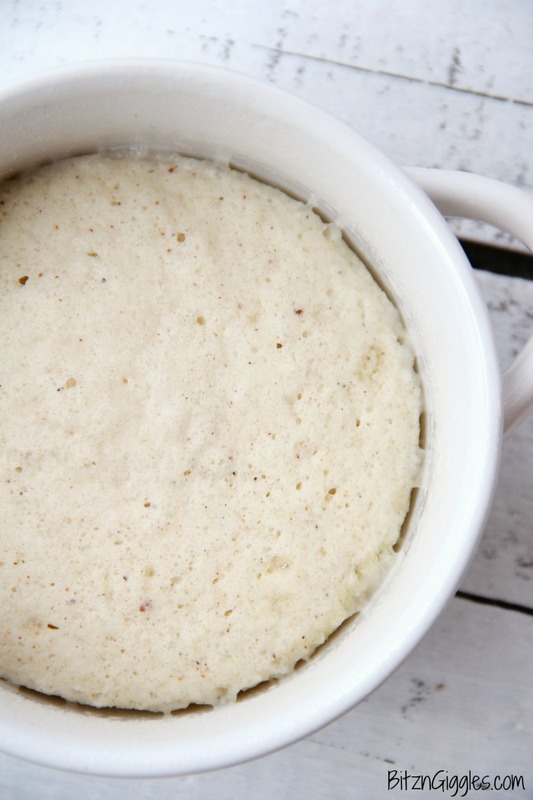 This delicious mug cake literally takes about 60 seconds to make in the microwave. 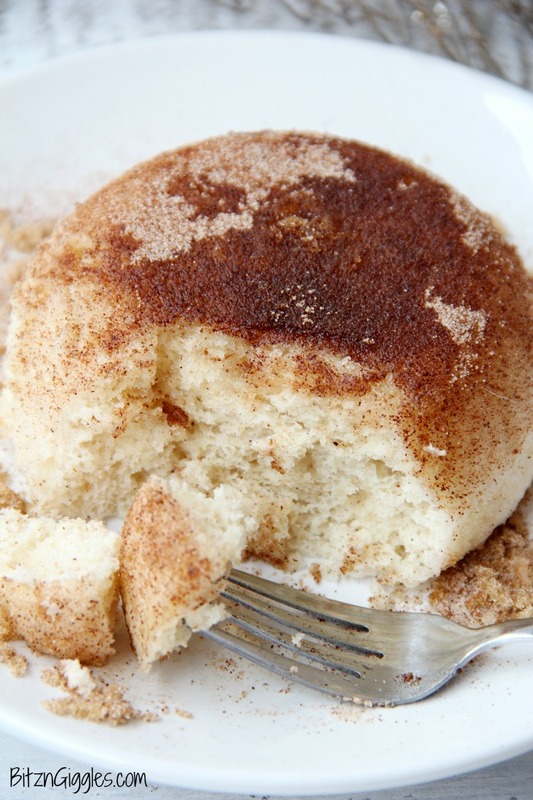 It tastes just like a cinnamon sugar doughnut! 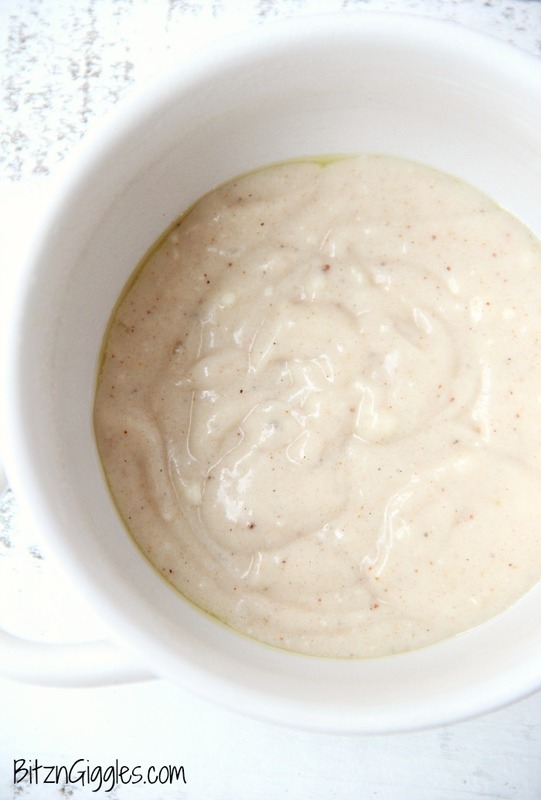 Pour into greased soup crock or mug (at least 16 ounces). Slide a knife around the sides of the cake inside the mug. Simple yet delicious satisfies my sweet tooth every time. 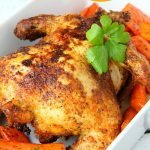 i think u should add a smaller amt of nutmeg to the recipe , still super good ? To much nutmeg. Kinda just a blan nutmeg and crunchy cinnamon sugar topping. Hi Jayda, maybe skip the nutmeg next time – hope you try it again! Had this with my morning coffee. Was really good. I will say that the nutmeg was just right. I’m so glad to hear this, Nancy! Thanks for taking the time to leave a comment! Quite tasty with a heavy texture. I personally think there was wayyy too much sugar though. Next time I’d have to use a less calorie ridden alternative. Yep, you can adjust the sugar to your tastes, Kim! Amazing, really great flavor from the nutmeg. You’re so sweet, Serenity. 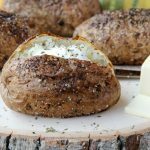 Recipes are very subjective and not everyone will love everything I post. And that’s okay. My hope is that even if someone tries one of my recipes and doesn’t like it, they’re still willing to try another. 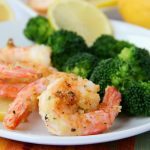 Chances are they’ll find at least one winning dish on my site. Thanks so much for your note. Hugs to you! I replaced the butter with coconut oil and the milk with almond milk to make it vegan and it came out great! The kids loved it. Thanks for sharing your vegan prep! That’s so helpful! 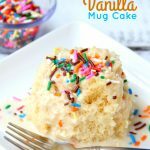 Great mug cake! My husband just loves the cinnamon and nutmeg. Requests this one every time we have a craving for a little dessert. Thank you!! Made this tonight. It was very easy to make and tasty!! So glad you enjoyed it, April!